More donors from black, Asian and minority ethnic groups are urgently needed to address an increase in patients from the same communities dying whilst waiting for an organ transplant. One in five people who died on the Transplant Waiting List last year were from a black, Asian or ethnic minority background. Why does ethnicity matter in organ donation? Blood and tissue types need to match for a successful transplant. Although many black and Asian patients are able to receive a transplant from a white donor, for many the best match will come from a donor from the same ethnic background. While some people with a black or Asian background go on to donate when they die each year, this is not enough to meet the needs of all patients waiting for a transplant from those communities. Black, Asian and minority ethnic patients are currently waiting for a transplant. Black, Asian and minority ethnic patients received a transplant from a deceased donor last year. Those who do have their life saved or improved by a transplant will often have waited significantly longer for a successful match than white patients. Black, Asian and minority ethnic patients donated organs when they died last year. 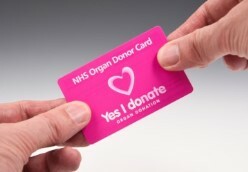 If more people donated their organs after death, or as a living donor, then transplant waiting times would reduce. 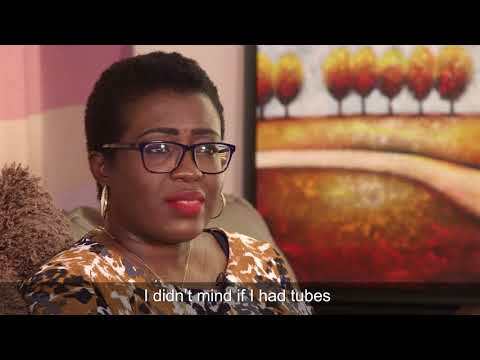 Hilaria Asumu waited 6 years for a kidney transplant. Watch her impassioned plea for more donors below. You could help improve the chances of black, Asian and other minority ethnic community patients getting the transplant they need by signing up to the NHS Organ Donor Register. It is vital that you share your donation decision with your family, so that they can support donation going ahead. In addition, you may want to consider being a living donor to close family or friends who may be waiting for a kidney. Jay and Sina Patel made the difficult decision to donate their three-year-old son Aari's organs after he lost his life in an accident. Watch their moving story here.